Researchers from the University of Southampton are calling for an urgent overhaul of how and when the health system engages young people about the links between their health and the health of their future children. 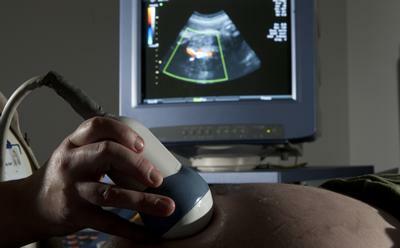 The Southampton team, led by Professor Mark Hanson, says that improving the health of men and women before they conceive a baby should be a top public health priority if the mounting epidemic of obesity and non-communicable diseases, such as type 2 diabetes, is to be tackled. Studies have continuously shown the effects of the mother and father’s health and wellbeing on their offspring. In 2011 a Southampton study revealed that a mother's diet during pregnancy can alter the DNA of her child and increase the risk of obesity. Writing in the Annual Report of the Chief Medical Officer 2014, Women’s Health: The Health of 51% the team say that the time gap between adolescence and when young people become parents is not being used enough to teach people about the impact their health can have on their children and to prepare them for parenthood. They believe there is a lack of cohesion between adolescent health services, family planning and maternity care which means that valuable opportunities to promote health and to combat obesity are missed. The Southampton team’s chapter in the annual report, entitled Healthier mothers, healthier children: a new focus on preconception, explores ways to improve the health and wellbeing of future generations. It suggests that bringing pregnancy prevention and pregnancy planning together under one reproductive health umbrella would help women have children by choice rather than chance and preconception health could be simultaneously improved. “Primary and community health care providers (including GPs, nurses, pharmacists, community midwives, health visitors and sexual and reproductive health specialists) need only a modest level of training to improve their confidence and skills in discussing preconception health,” they say in the report. Additionally changes in the way educational programmes and campaigns are delivered could have a positive effect on people’s health. They suggest that using a range of media including the internet, social media and app-based programmes could empower women and their partners and a more context-specific learning environment involving schools, health care and communities may help young people understand and act upon health information better.